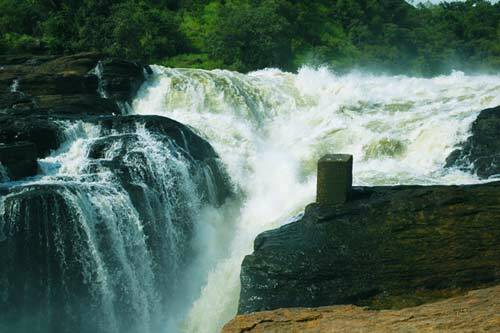 This is a Big five tour in Murchison falls National park combined with Chimpanzee trekking in Kibale forest national park. The tour starts in Kampala heading north to Ziwa Rhino sanctuary to track the first member of the big five class: The Rhino. 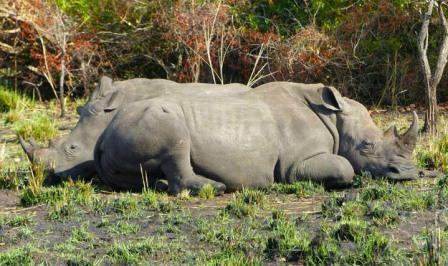 Ziwa rhino sanctuary is the only place in Uganda where you can see the rhinos in the wild. These giants were poached to almost extinction in the wild, however, great efforts have been made to restore the populations of these giants. 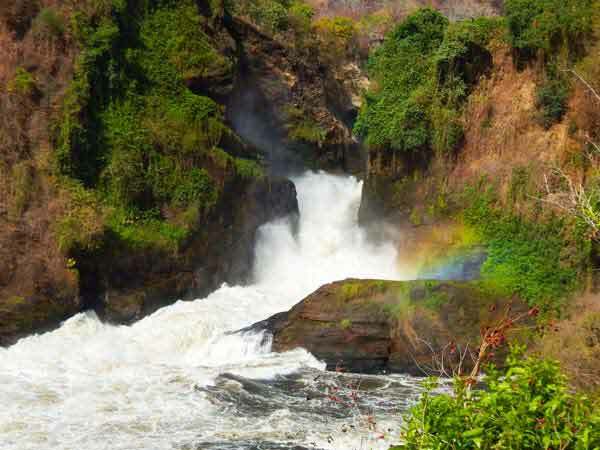 From Ziwa Rhino Sanctuary, the trip will continues to Murchison falls National park for the rest of the big five animals, other wildlife adventure and boat cruise. A hike to the top of the falls provides a memorable moment for Photos and relaxation. 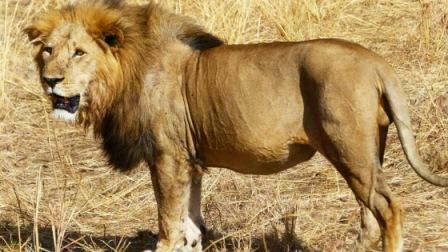 The remaining members of the Big five can be tracked here, including; Lions, Elephant, Buffalo and Leopard. Upon finishing the wildlife adventure, we drive to Kibale National park for Chimpanzee tracking, another great experience. 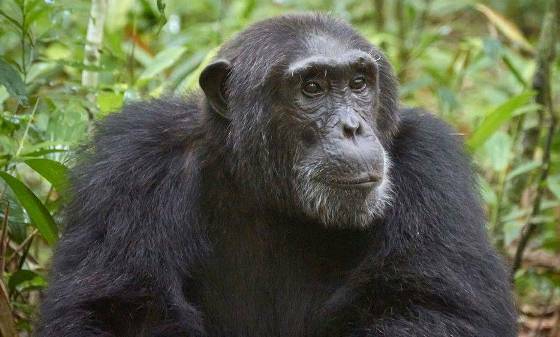 Kibale national park is a home to over 1500 chimps. 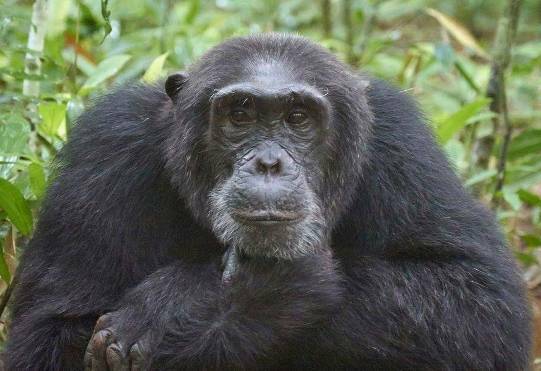 This makes the forest the best place to track chimps in their natural habitat. 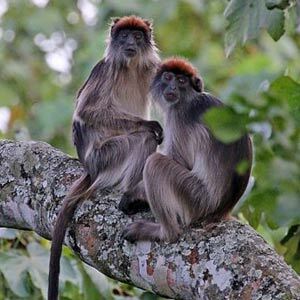 Kibale national park also have another 12 more species of primates including; Red-tailed monkey, Black and White Colobus, Grey checked Mangabey, Coppery-tailed money, Blue monkey, Vervet monkey, Red Colobus monkey, Olive Baboon, Thick-tailed bushbaby, Lesser Galago, to mention but a few. 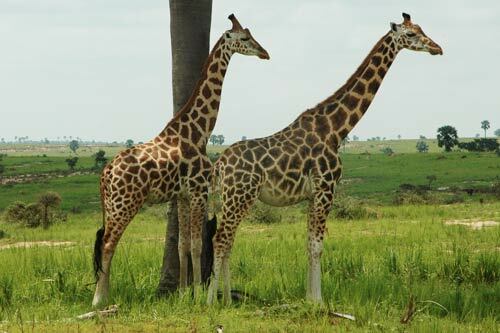 Kibale National park is also blessed with over 370 bird species, a sanctuary for bird enthusiasts. Some of the birds include; Great blue turaco, Black and White casqued hornbill, White browed coucal, Ross’s turaco, etc. In the morning at your hotel, you will be met by our driver guide then start on the journey to the Murchison falls National park. Driving northwards Passing through Luweero town where you can stop and buy some fresh tropical fruits like, pineaple and bananas, also a breaks for stretching and using facilities on the way, before arriving to Ziwa Rhino sanctuary. This is a rhino breeding centre in Uganda which had been poached to extinction by 1984. You track rhinos in their natural habitat, you proceed for lunch, after continue to the park. A scenic stop a top of the falls is a must. This is a breathtaking scenery of water forcing through a narrow gap creating a very strong thrust of water turned into water vapor. Drive and check in lodge for the night. A very early morning breakfast or packed to give you great sightings before the sun and its effects. 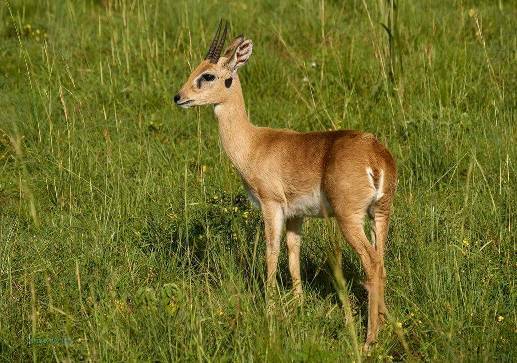 The drive is on in search for wildlife such as, Lions, Hyenas, Leopards, Elephants, Buffalos, Giraffes, Waterbucks, Patas monkey, Bush pigs, Warthhogs, Oribi, visit the Kob mating grounds, several bird species; African grew hornbill, Northern camine bee eater, Shoe bill stock. and other wildlife. Return to the lodge for lunch and afternoon boat ride to the bottom of the falls. Here you get an opportunity of seeing water life on close range, such as; Hippopotamus, Crocodiles, Buffaloes, birds and other animals. You will also see he falls from the bottom this spectacle view will leave you amazed by the Gods creation. Return after the boat with an option of doing an evening game. 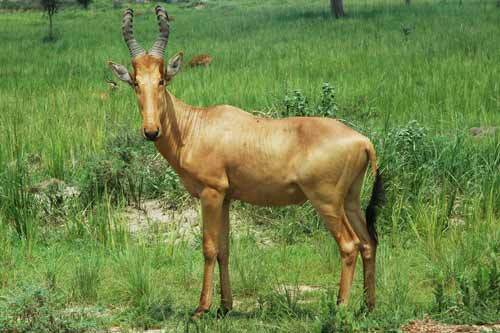 Long drive but no rush, after breakfast, you will set of for Kibale Forest National park as a destination. Seeing locals attending to their gardens and farms. A lot of cash are grown in this region; Cotton, Tobacco, Maize, Banana and Tea. Always room for photo stops. Overseeing the foothills of the Rwenzori Mountains(Mountains of the MOON) you are arriving to fort portal. The most clear green town in Uganda. Continue to your lodge close to the park. After a early morning breakfast, you will drive to Kanyanchu Visitor Centre for briefing before being led into the forest by a Ranger guide from Uganda Wildlife Authority for chimpanzee tracking which is the highlight of the safari. But just walking through the rain forest is amazing, other primates that can be seen are; Red tailed monkeys, Black and white Colobus monkeys, Grey checked Mangabey, though they keep a reasonable distance from the chimpanzee. 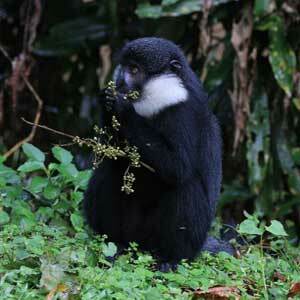 After spending time with the mammals, we then proceed to Bigodi Wetland sanctuary. Finding the chimpanzee you will have an hour with them before returning to the Hot lunch with optional crater walk in the afternoon. Departure in the morning will depend on you. After breakfast, you will have yet again another scenic drive through the country side on your journey back to Kampala or Entebbe for your flight back home. The driver guide will be able to bring you to any place of your convenience within the radius of the agreed upon location. 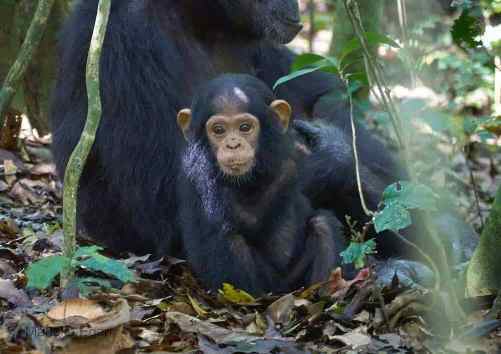 A short 3 days Chimpanzee trekking Kibale Uganda Safari for Tracking Chimps and 12 other primates and bird watching in Kibale Forest National Park.